Sept 10, 2016 (LBO) – The filing for bankruptcy by South Korean container shipper Hanjin Shipping will have an indirect impact on Sri Lanka with reduced space for cargo originating from the island, an industry official said. Hanjin, ranked the seventh largest globally, with 98 ships and 2.9 percent share of trade, has about 14 billion dollars worth of cargo stranded after the collapse announced on August 31. “Hanjin’s main hubs were Busan and Singapore within Asia, so there is little direct impact on Sri Lanka on the west bound trade,” Captain Rakesh Suri, Global Head Ocean Freight for Expo Freight (EFL), part of conglomerate Expolanka Holdings, told Lanka Business Online. “Import cargoes from Far East and SE Asia to Colombo through prominent Hanjin services will find a replacement carrier,” Suri, who is based in New Delhi, said. But there will be an indirect impact, as Sri Lanka will experience a “space crunch” through the third week of October 16. 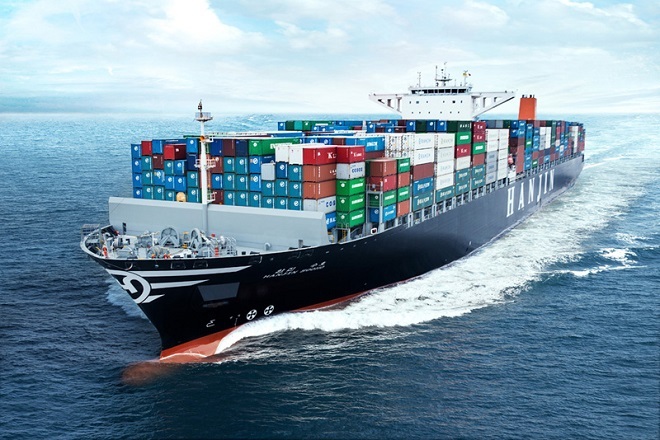 Cargo from the Far East and South East Asia amongst others will migrate away from Hanjin onto G-6 and the 2M Alliances, comprising eight carriers between them. These alliances route their vessels to Europe and the US, transiting via Colombo. With peak season cargoes, compounded with the Hanjin issue, carriers have been filling out container slots from China and the Far East with higher revenue freight. This will deprive Colombo with space allocation for cargoes originating from Sri Lanka and those transshipped from ISC via Colombo. Most carriers via Colombo to the US and Europe have reduced allocation for Colombo/ISC transshipped cargoes by a minimum of 30 percent. But with Singapore terminals in the near future getting congested with return of Hanjin empty containers, more carriers could consider routing their vessels for transshipment at alternative hubs including Port Kelang and Colombo. Conversions from sea to air freight is also taking place, he said. Reuters reported on Saturday that Korean Air Lines, the biggest shareholder of Hanjin Shipping, has approved a plan to provide a loan of 60 billion won (54.16 million dollars) to the troubled shipper. The support will be offered on condition of securing Hanjin Shipping’s Long Beach Terminal as collateral. Hanjin Group has pledged to raise 100 billion won (90 million dollars) in funds to help rescue cargo, after the news of the bankruptcy rocked the shipping world.